​Both the asteroids and the dial​ give us an excellent learning opportunity this New Moon. It features a Hidalgo/Neptune combination. ​ Most of us will ​encounter directly or indirectly this energy in the next ​four to six weeks. As we already know​, the New Moon ​occurs when the Sun and the Moon are in are their monthly alignment. 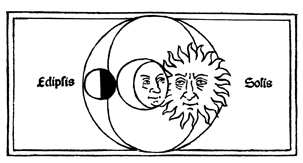 ​ As the Sun represents the day it also represents the body​ and in basic astrology our desires drive the Sun. The Moon is the hour ​and it is also our emotional security. Home, family and mother are three key words for the Moon. The Moon is driven by emotions. So when they come together…it can really drive the point home (or the goal) depending on what someone is working on and ​how or if that Sun/Moon point hits you. It reinforces the energy​ of the two thus giving more confidence to those affected by this point. The Sun/M oon connection could be shining a light in an area we have been ​examining with difficulty​. Very likely many of us will see this energy at work this month​, (even if we don’t experience it ourselves​)​ as the New Year is the traditional resolution making season.